Lately I have really been trying to invest in pieces that are versatile, whether that means they can be worn in two different seasons or for both a day look vs. a night look. When you buy versatile items, it means you have a more well rounded wardrobe and often get more bang for your buck! One of the things I looked at while at J.Crew Factory was this dress. 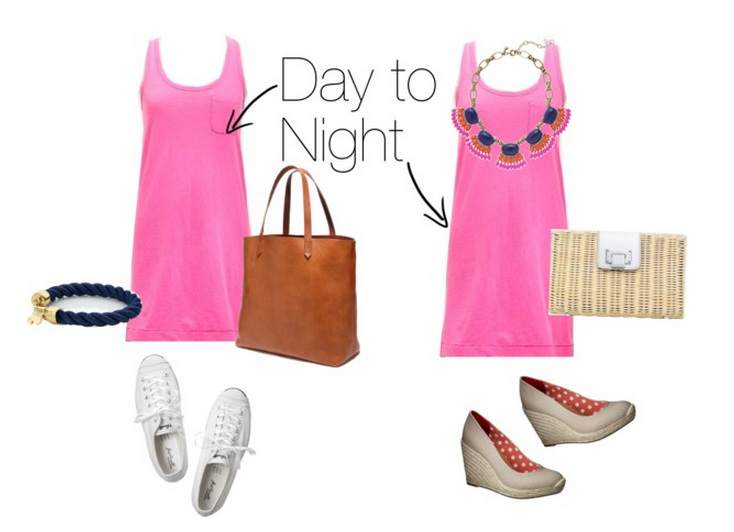 It can easily be styled for both a day look at the beach or a night out with the girls! Very versatile in my opinion! Do you own any pieces that are really versatile? I need some new ideas! I have this really cute Gap shirt dress that easily transitions from day to night! Absolutely love the day look! So chic!